HEY KIDS! Have more fun on the best bike of them all! 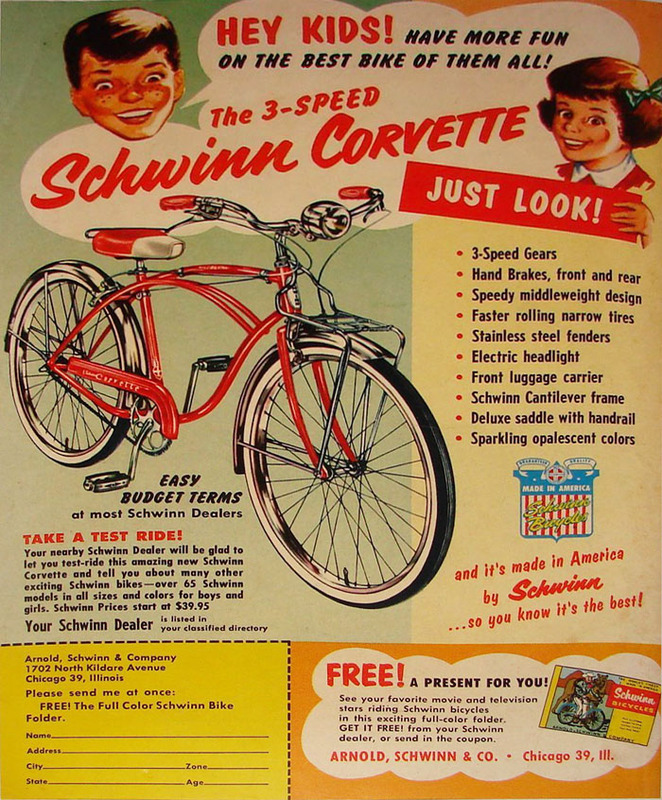 The 3-speed SchwinN Corvette – JUST LOOK!